If you are looking for the top balloon twisters in NY, then look no further than our great directory! Find and hire top balloon artists for all types of kids parties and events in New York. They will be sure to add color and fun to your celebration. You can also find additional balloon twisters for hire using this guide. Todd Neufeld and his team of 6 balloon artists pride themselves on bringing your child’s party to life with their creative and innovative balloon art. They go beyond your expectations to make your child’s party one they’ll never forget. Not only do they do custom balloon sculptures but they specialize in caricatures, characters, animals, hats and balloon fashion! There is always something for everyone when Todd and his team host your child’s birthday party. Each of his team members has hundreds of hours of experience and promises to give you more than you expect when they host your child's party. Balloon sculptures are the perfect way to liven up your child’s birthday party! Unique Balloons specializes in balloon art and will make your child’s birthday party a day to remember for all that attend! They have certified balloon artists that are sure to thrill everyone at your child’s birthday party. Unique Balloons’ artists have over 16 years experience working with all balloon types, shapes, colors and designs. They have over 65 colors of balloons to choose from with 10 options ranging from arches, sculptures, centerpieces and everything in between to ensure your child has exactly what they want. Brian has over 20 years experience working with balloons and children. He is a full-time performer dedicated to his craft and is constantly updating and refining his art and skills thinking of new and innovative designs to bring to children. He prides himself on providing flexible, affordable and unique services to fit the needs of any budget. Brian treats his skill as more than just balloon decorating. He wants the balloon sculptures to come to life! He provides balloon animals, characters, decorations, custom sculptures and hats so every child gets exactly what they ask for! Since the young child of 13 Adam has had a passion for balloon art and ever since then he has found great joy in providing children with creative and life-like balloon animals. He decided to combine his passion for children and balloon twisting in 2003 when he founded Animaloons. Brian is always trying to find new ideas and inspirations to bring to children’s birthday parties. His main objective is to make the kids happy while satisfying the needs and wants of parents. 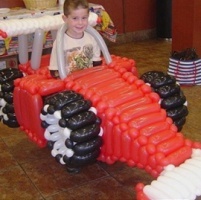 Every party he hosts teaches him more and more about balloon art and promises to make your child’s birthday memorable. 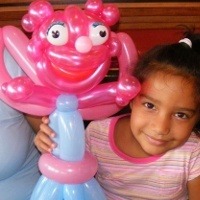 Maritza promises the highest quality balloon art for your children’s birthday party. Her work as a balloon artist has been recognized by Royal Caribbean Cruise lines and she has spent several summers twisting balloons for cruise ship guests. She customizes all of her work for every party she works. 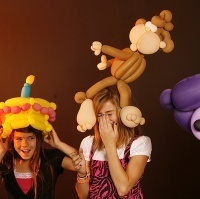 She has a wide range of balloon art specialties ranging from dolls to animals and hats so everyone is satisfied. Maritza will work with any size budget to ensure you and your children get exactly what you want. With Maritza hosting your child’s party everyone will be completely satisfied! 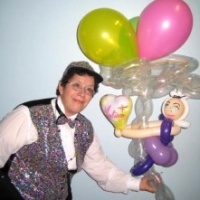 Sheree Brown-Rosner or The Great Wandini as she is known in the world of balloon art is a creative balloon artist that lifts up people’s spirits with her talent. Sheree backs-up her talent by placing 3rd and above in several balloon sculpting contests over the past couple of years. Her greatest joy in balloon sculpting is seeing the smiles on all of her clients faces, young and old. She customizes all of her sculptures to fit the creativity of all of her clients so everyone is sure to leave happy when she hosts your child’s birthday party. Great Party Balloon Twisters in New York! If you're looking for that little extra something for your next children's party or event you won't want to miss hiring these expert balloon twisters. They can entertain people of all ages with their fun creations. Whether you are looking for someone to keep the children ooh-ing and aah-ing during the party, or you want some balloon decorations made ahead of time to make the party room look special, these NY balloon twisters can help! 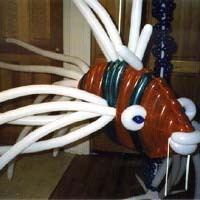 Nothing is too big when you hire them to make balloon sculptures for your party - check out their website to see examples of just a few of the over 400,000 sculptures they have made in their careers! 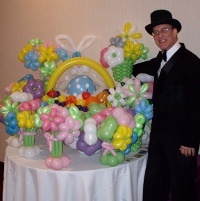 This great balloon artist will amaze all your guests with his fantastic balloon twisting abilities. Daryl Baldwin can do balloon entertaining at your next party as he comes ready to do magic and twist what begin as ordinary balloons into fantastic shapes of all types. Children and adults will love watching his shows - he can even match your party theme! 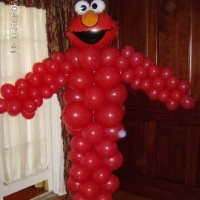 If you want unique decorations at your next party Daryl can also do balloon sculptures as centerpieces, entrance arches and other types of decorations. 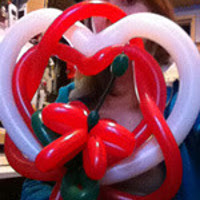 You won't be disappointed when you hire this master balloon artist in Upstate NY! Some of the Top Balloon Twisters in NY! Watch balloons come to life before your eyes when you hire balloon twister entertainers from Magic 4 Kidz! People of all ages love to watch balloon artists create animals and sculptures from scratch. When you choose one of this entertainment company's party packages you will get a magician or clown show, face painting and balloon animal twisting. Visit their website to see a gallery of some of their balloon creations! You will be amazed at the range of their art. Your kids will never forget the party where you hired balloon twisters to entertain! 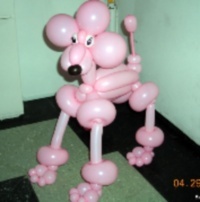 Kids Love This Great NY Balloon Sculptor! What could be more magical than seeing the wonder on a child's face as he or she watches a balloon animal being created in front of their eyes? When you hire Emma to do your party entertainment you won't be disappointed in the amazing sculptures, animals and items she can create. Emma has several party packages from which you can choose, so if you'd like to combine balloon twisting with another fun party activity you can have balloon twisting and face painting or balloon twisting and glitter tattoos, you can! Visit their website for more details on their wonderful party offerings. 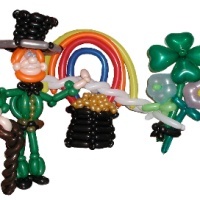 Balloon sculpting is a great entertainment for any party especially a child's birthday party. When you hire a balloon twister from All Star Party LI you will receive only the best in balloon entertainment. 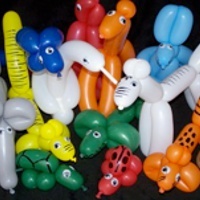 The children at the party will be able to choose from a wide range of animals and objects to have these balloon pros twist for them. Choose a combo package offered by All Star Party LI and have both a balloon twister and a face painter come entertain at your party! It will be an unforgettable event for the children when they not only can get their favorite animal twisted into a balloon but also can get it painted on their face! Jeff the Magic Man is Syracuse and Central NY’s premier children’s entertainer. He specializes in magic and balloon art at children’s birthday parties throughout Central NY. 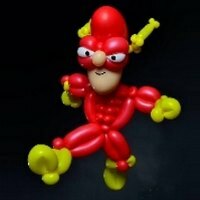 Jeff the Magic Man can create a large variety of unique balloon animals and sculptures ranging from princesses to animals, superheroes and so much more. Check out his photo gallery for just a few examples. Simple balloon animals can be made on the spot. However, more elaborate sculptures, such as specific super heroes, Jeff must be notified at least a week in advance. He is also available for festivals, restaurant and school events. You can frequently find Jeff the Magic Man performing around the Syracuse, NY area. Call for more information!